What SEER Rating Should I Buy for My San Marcos Home? When San Marcos homeowners ask us what SEER they should get, this is what we tell them: It depends. First off, we always suggest at least a 14-SEER unit—all new ACs in San Marcos need to be at least 14 SEER per federal requirements. But beyond this answer, we always tell homeowners that the SEER they “should” buy just depends. Since SEER depends on many factors specific to your home, an AC professional needs to help you choose the right SEER for your new AC. We’ll go into more detail on why it’s important to have a professional provide a SEER recommendation. Want to speak with a pro about SEER for your home? If you want more information about installing a new AC, visit our AC install page. First off, a quick refresher: SEER (Seasonal Energy Efficiency Ratio) measures how energy-efficient an air conditioner is. The higher the SEER, the less energy the AC will use to cool your home. SEER ratings range from 14 to 24+. When we talk about “high-SEER” air conditioners, we’re usually referring to any unit with a SEER rating of 16 or higher. The higher the SEER, the more expensive the upfront price of the AC. BUT it’s important to remember that higher SEER also lowers your monthly energy bills. Note: Standard ACs (lower than 14 SEER) can only run on one speed: HIGH. So basically, high-SEER ACs cost more due to their more advanced, complex technology. But their advanced technology allows the unit to use less energy as it runs throughout the day. So back to the original question: What SEER should you choose? A high SEER (anywhere from 16 to 24) that costs more upfront but provides higher comfort and lower energy bills? Or a standard 14-SEER unit with a lower upfront price? When you a hire a professional to provide a SEER recommendation for your new AC, they can show you the savings you’ll get with a higher SEER AC over the lifetime of the unit. That way, you can determine whether the higher installation cost will be financially worth it in the long run. If you don’t take into account each of these factors, then you can’t accurately predict the energy savings you’ll get with a particular SEER. 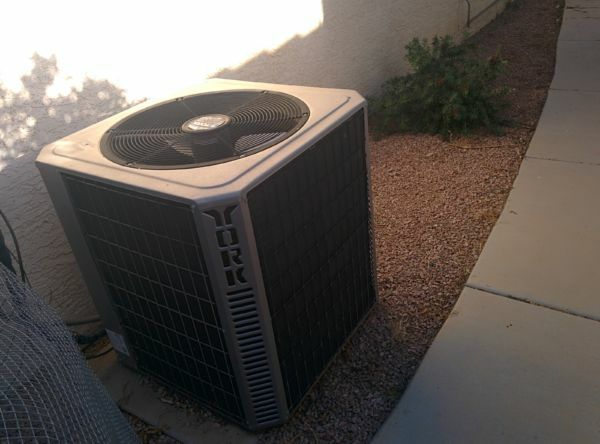 For example, let’s say you choose a 16-SEER AC, but you don’t consider that you also have leaky ductwork. Because leaky ductwork makes your AC system work harder to cool your home, you won’t see optimal energy savings from a 16-SEER AC—your savings will be much lower. Need help choosing a new AC for your San Marcos home? We offer FREE estimates on the cost to install a new air conditioner, and we can help you choose which SEER is best for your home. What's the Cost to Install a Central AC in San Marcos, TX? What's the Cost of a Central AC Repair in San Marcos, TX?